Discussion in 'News & Updates' started by Exodus, May 2, 2016. New NX has been added to the Event tab, go check it out! A new set of royal hairs have become available. New World Revolution event returns! Part 1 of the nightmare inducing...I mean lovely collection quest has made a permanent comeback! 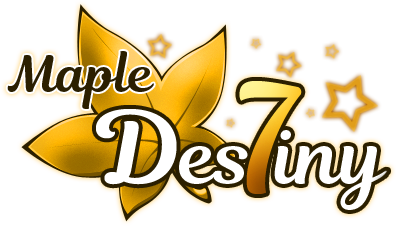 Part 2 is coming out soon(tm). Zelda, Mnemosyne, Winks and 2 others like this. killakumbi, Winks, Aspira and 1 other person like this. Certain Royal hairs will not rotate, and will be permanent options from Headward. The total amount of Royal hairs available has been decreased, as to increase the chance at obtaining a specific style. 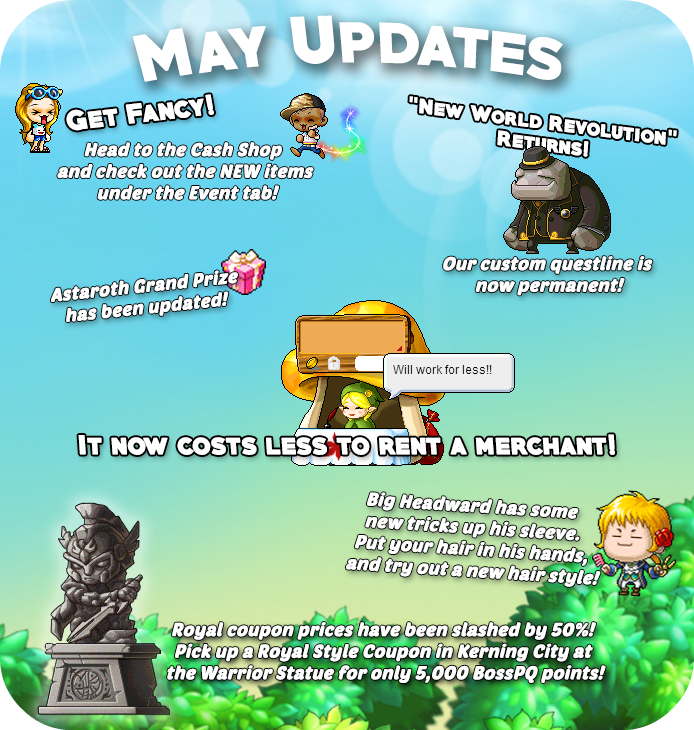 Royal hair coupons are now 5,000 BossPQ points and can be obtained from the Warrior Statue in Kerning City.